Spring has officially sprung and the daffodils and tulips are out in force to prove it. With everything feeling a little brighter, it is time to bring some spring colours into your home. 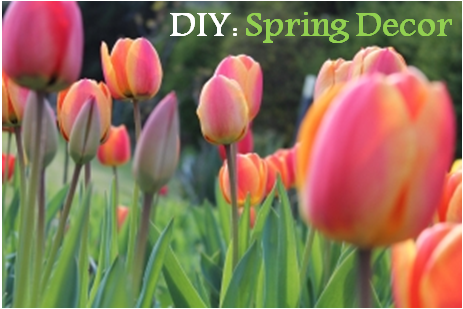 Here at Ardor, we love a good DIY project. To kick things off, here’s a round up of our favourites for you to try at home. 1. Decorate some pots. A fun, cheap and easy way to add some colour to your rooms, these decorated pots are the perfect weekend project. Get down to your local gardening store and pick up some terracotta pots, grab some paint or fabric and get creative! Full tutorials available for spots, fabric and neon dipped. 2. Enamel Painted Vases. This project is surprisingly easy and the results look so professional. 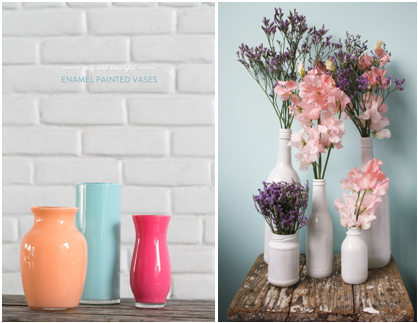 Pick up some vases or bottles from charity shops or create mini bottles of colour with these. Any enamel based paint works well, pick up sample bottles and mix and match your favourites. Full tutorial here. 4. Floral Covered Wooden Chair. How adorable is this chair? Keep your eyes out for a plain wooden chair, floral napkins/paper and away you go! See how it’s done here. Have you tried any of these projects or have one to recommend? We’d love to here from you. Leave a comment below!